Traumatized individuals will predictably go through a series of alternating phases between acknowledging the trauma and avoiding it. As this process goes on, the eventual goal should be a reformulation or reschematization of the event in relation to the person and the person in relation to him- or herself and others. This is sometimes referred to as working through, which was mentioned earlier. The goal of treatment is to "help the person work through the linkage between the self and the stressor events so that all such symptoms can be attenuated or terminated" (Horowitz, 2001, p. 182). The goal is to strike a balance between a state of emotional numbness and of being emotionally flooded or overwhelmed. There are also the general goals of helping the patient establish a sense of safety; develop decision-making skills and more adaptive coping; develop a realistic sense of self as stable, coherent, competent, and worthwhile; develop competence with family and community; and develop a rational preparation and resilience for future stressors. Horowitz (2001) also proposes that steps should be taken to help patients protect themselves from danger by improving their attention and reaction times, and by teaching them not to react to erroneous beliefs, social stigma and shame, demoralization, or impaired physiological functioning due to sleep deprivation or altered neurochemical functioning. Horowitz's treatment, as are so many for PTSD, is complex and very thorough. There are six phases to his treatment: evaluation/diagnosis/formulation/treatment planning, support, exploration of meanings, improving coping, working through, and terminating. Initially, patients are diagnosed with a particular stress response disorder, such as PTSD or Complicated Grief Disorder. Next, the clinician should formulate the goals and issues to be addressed within treatment. Horowitz (2001) offers the configurational analysis method for this process. First, symptoms and problems are selected. Next, the states or situations in which intrusive symptoms and states of numbing and denial occur are determined. In the next step, unresolved stress-related topics and defensive control processes are addressed. The fourth step addresses self-other beliefs related to identity and relationship functioning. The fifth and final step of formulation is an integration of the previous steps into a treatment plan. The second phase of treatment is the support phase. Because patients may be in states of unmodulated affect and experience and may be feeling they've lost their sense of control, they need support. For Horowitz (2001), this may include biological stabilization with medication, social support with time structuring and enlisting supportive efforts, and the establishment of a supportive therapeutic relationship and concrete plan. Adequate support needs to be in place before the next phase of treatment, exploration, is undertaken. This is necessary because of the possibility of intense affect in this next phase. The working through phase is designed to help patients reschematize their identity and relationships. Patients analyze pretrauma personality beliefs about themselves and others. 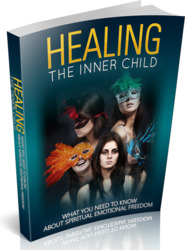 This may lead to specific themes being activated, such as fear of victimization, shame, feelings of incompetence, anger at the source of the trauma or a displacement figure, or guilt. An individual may also have a developmental history that leads to a lower threshold for tolerating despair and depression, which is then reactivated with trauma. Regardless of the various schematic and developmental material and issues that get activated, this phase of treatment involves helping the client differentiate between what comes from the past and what comes from the present. Attention to warded-off issues and trauma-specific struggles is intensified, and deeper interpretations are offered. These interpretations serve as a basis for a clearer sense of self and others within the context of the current trauma. The final phase of treatment is termination. This is never a simple ending to therapy but a unique and important stage in and of itself. Emotions about separating from the therapist must be addressed. Also, therapeutic gains must be reinforced. Horowitz (2001) suggests making plans for practicing the newly acquired cognitive-analytic skills. He reminds us that the client's vulnerability is likely to resurface in this final phase and recommends terminating gradually over a series of sessions in an almost stress-inoculation manner. Finally, he recommends that the client be benevolently forewarned that these issues may crop up again but that this is expected and should be framed as a time to practice what has been learned.